Hands-On Training sessions are the most popular sessions at conference. Understandably so: they help you get down and dirty with your data, with the help of expert Tableau instructors. Learn how to get the most out of these sessions below. This week, I took a few minutes to check in with Tim Lens, who runs Hands-On Training sessions at Tableau Conference, and is a Tableau genius*, and asked him to share how TC16 attendees could get the most out of their Hands-On experience. Register today for TC16 taking place this November 7–11 in Austin, Texas. Pam: Tim, there’s going to be over 100 Hands-On Training sessions at conference this year. How should our attendees choose what’s right for them? Tim: Right now, take a look at the Learn section of the Tableau Conference website, and get a feel for the types of sessions that will be offered at conference. Start to hone in on interest areas. I always tell people: “Don’t be afraid to challenge yourself!” Sometimes the best feedback we get is from an attendee who thought the difficulty level was above them, but they came in and the material clicked with them. The full content catalog will be on the TC16 website in early August. All sessions, including Hands-On Training, will be organized by track, topic, and difficulty level — plus searchable by keyword. 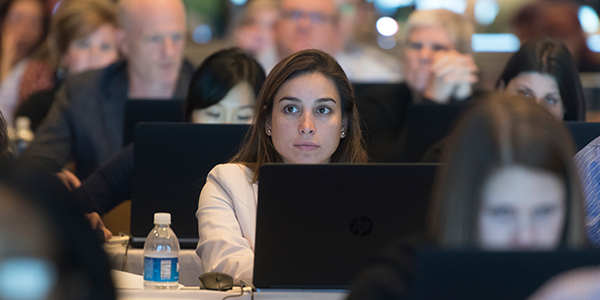 Most hands-on sessions are focused on a specific Tableau functionality that an attendee might want to learn more about or master. Pam: How can attendees prepare to get the most out of Hands-On Training sessions at conference? Tim: Think about the day-to-day functions of their job, and what tools they can learn to make their work, and life easier. There’s just about 5 months before conference to identify topics that can increase your productivity and use your data to answer more questions. Is it connecting to new data sources? Calculations? Mapping? You’ll be able to choose from all of that, and more. Also, when the conference app goes live in October, all registered conference attendees will have the opportunity to pre-register for Hands-On Training sessions. Pam: How should people determine what level session they should take? Beginners: pretty new to the product, around 0–6 months experience working with Tableau. Intermediate: At least 6 months experience working with Tableau, managing data sources, creating dashboards, or deploying Tableau Server. Advanced: 12+ months experience working with Tableau, and looking for deep-dive material on advanced calculations, statistics, dashboarding, and Tableau Server administration. Jedi: expert-level knowledge, hacks, and using Tableau in unexpected ways. Above all else, if someone is unsure about their skill level, or which session to take, I encourage them to check in with one of our super-knowledgeable Schedule Scouts at conference, who can help find the right sessions for each attendee. Pam: You’re an awesome Tableau trainer (I know because you’ve trained me!). Tell us a little more about the experts who lead these sessions and the assistants who provide attendees with one-on-one support. Tim: Our trainers are experts in Tableau and the areas they’re leading sessions on. We present the topic and go through an exercise that attendees follow along with. There’s step-by-step intructions and guides. There’s also time to complete an additional exercise before reviewing their work. All of the assistants are there to help attendees that have specific questions, or need extra help with a particular step or steps. So stay tuned! As Tim mentioned, the entire content catalog goes live on the TC16 website in early August, and you can check out all 100+ Hands-On Training sessions, and over 400 breakout sessions, customer presentations, meetups, and more. Questions? Let us know in the comments or on Twitter at @tableau with the hashtag #data16. Can’t wait to see you there.